So, it’s probably an understatement to say a lot has happened since I last visited my blog. There’s the the significant changes that come with being a mummy. I foolishly thought being on Maternity Leave would provide me with endless time to be crafting. I am now finding time to get back to some projects once our baby boy is in bed, and 90% of projects revolve around him. I picked up a little table with two chairs in ikea. Fabulous that these come natural so that you can add your own flair. 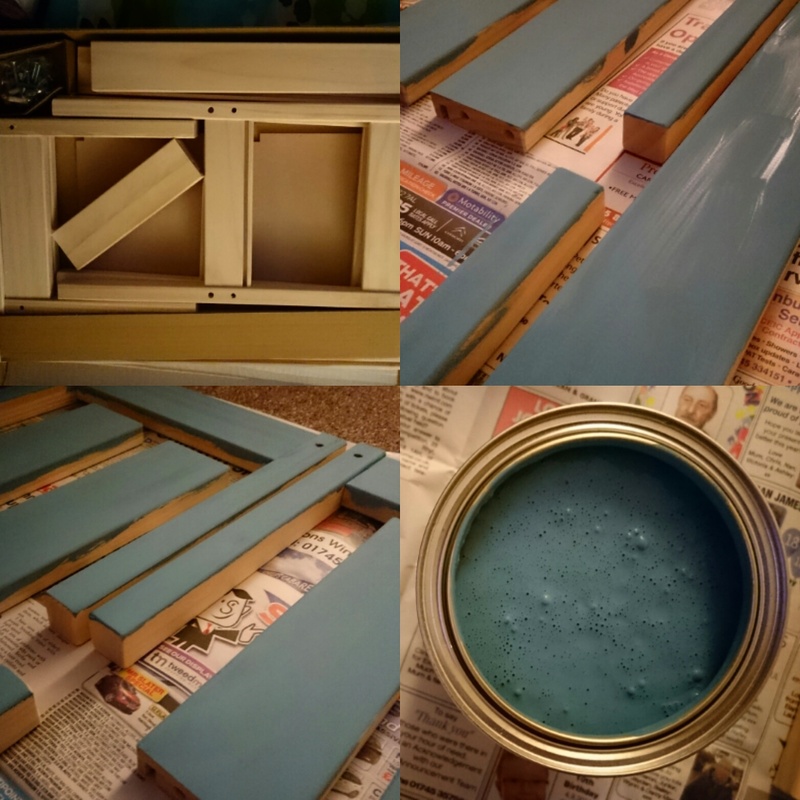 I bought some chalk furniture paint, not something I’ve used before. It’s fantastic. Great coverage and applies really easily. 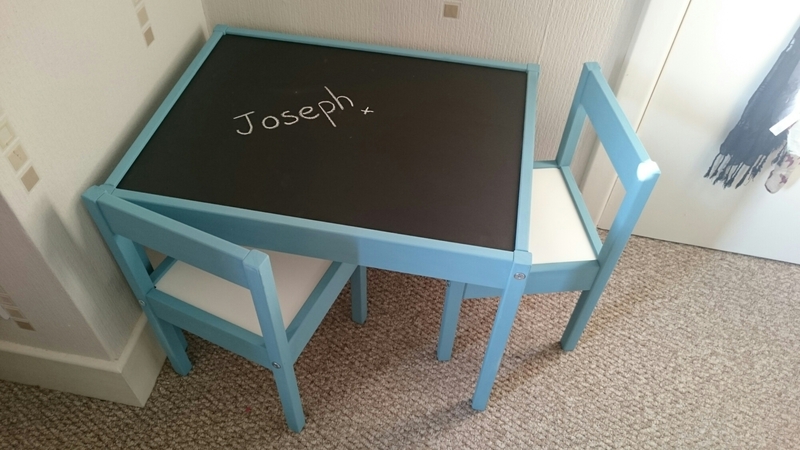 To personalise it further I found some leftover blackboard paint in the garage and painted the table top. It’s going to be great for those early scribbles to get the creativity flowing.